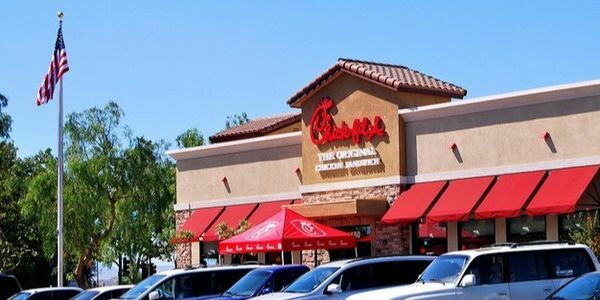 petition: Tell Chick Fil A they need to recycle! Tell Chick Fil A they need to recycle! Chick Fil A is a fast food place that offers so many great options, but a lot of their food is packaged in recyclable containers. The most sensible thing a customer can do is to throw it into recycling, but chick fil a does not offer a place in their restaurants to recycle their containers! Instead, the only options we have is to 1-throw it into their trash bin to go to the landfill, or 2- bring it all the way home with us so we can try to recycle it ourselves in our own container. This needs to change. It's a simple change, and chick fil a needs to know that their customers would deeply appreciate a place to recycle their own packaging. It's bad enough that it takes oil and energy to create this plastic, but it's even more wasteful to throw plastic in the trash to go to a landfill, where it will sit there for 500 to 1000 years trying to biodegrade. This slow process will emit green house gasses into the air, and toxify our soils. Even better option would be if they created compostable materials with an option to bring their packaging back to compost soil, but for now the easier thing for them to do is to have a recycling option for the product packaging they currently have, and that is not a hard thing to do. Please sign this petition that we as customers wish to see this small change that a large company can surely do for us! Thanks for all your help!